Vocabulary is an important skill to develop if you wish to clear the GRE with a good score, or at least the Verbal section of the Test. If you have taken the Diagnostic test or practiced any drills from the verbal section, you would have noticed that there are several words in there which might as well have been Greek or Latin. Those words are English and that is GRE Verbal Reasoning for you. The sections of Verbal Reasoning, the Reading Comprehension, Sentence Equivalence, and Text Completion, all require an advanced level of vocabulary which is a feat for a test-taker even from the English speaking countries. While it is far-fetched to know and memorize all words that may be popping up in those questions, you can certainly start practicing early and enrich your lexical resource as much as possible. We at Manya help you learn the ways in which you can memorize words. Ours is a Seven-way approach – the Context, Word-ingredients, Memory-hook, Word-theatre, Examples, Word-constellation, and Related words. 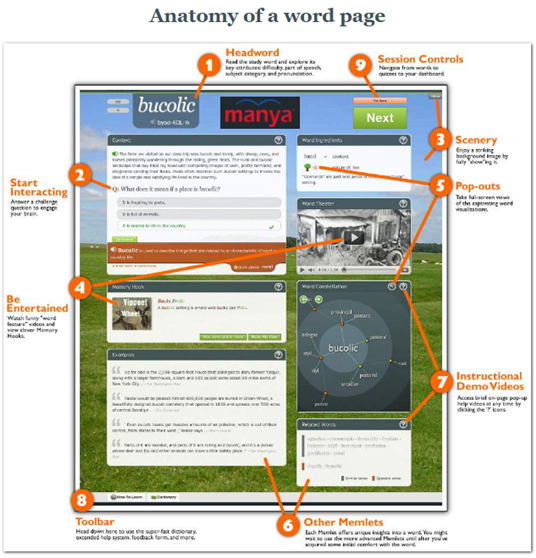 The Manya Vocab Builder is an online tool that will empower you with the ability to learn more than 1500 words associated with the GRE. So don’t wait, if you want to score big in the Verbal section of GRE, enroll with us, immediately, and build a vocabulary, that will not only help you achieve your dream score, but will be your friends envy and your pride.